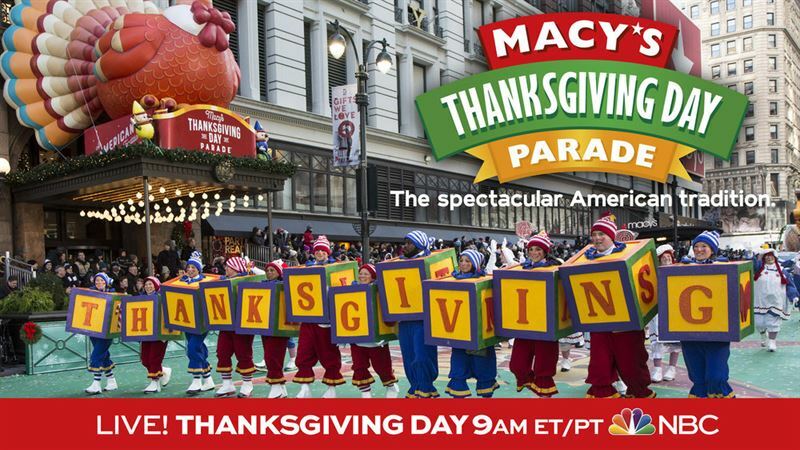 Three-Hour Parade Airs Live at 9 a.m. (All Time Zones) With an Encore Presentation Set for 2-5 p.m.
NEW YORK – Nov. 1, 2018 – A spectacle like no other awaits millions as the 92nd annual Macy’s Thanksgiving Day Parade®, America’s favorite tradition, kicks-off the holiday season. The Macy’s Thanksgiving Day Parade is the nation’s biggest and most anticipated holiday celebration. Millions of families will tune in to watch the excitement unfold on Thursday, Nov. 22 as Savannah Guthrie, Hoda Kotb and Al Roker of NBC’s “Today” host the broadcast from 9 a.m.-noon in all time zones. This year, four new floats will debut including Elf Pets® by Elf on the Shelf®, Fantasy Chocolate Factory by Kinder® (Ashley Tisdale), Rise of the Teenage Mutant Ninja Turtles by Nickelodeon (Jack & Jack) and Splashing Safari Adventure by Kalahari Resorts and Conventions (Ella Mai). For an insider’s look at the holiday procession, fans nationwide should visit macys.com/parade for regular updates including behind the scenes previews, interactive historical information, and more. Fans can also follow @macys on various social networks and join the conversation using #MacysParade. For more information on the broadcast, visit http://www.nbc.com/macys-thanksgiving-day-parade and www.nbcumv.com. Please follow @NBC on Facebook, Twitter and Instagram.